Another fun speculation thread to start the week off about where the future of the world (of Warcraft) will take us. This time, it’s extending the ideas presented in my previous Fun Speculation article and expanding on them slightly. Some people from my old guild may recognise a lot of today’s article, as it is based upon my thoughts from before this summer. The Draenei/Velen needs to do something, they haven’t had action since TBC. The most obvious way to bring them into the game more than just odd characters here and there (I do love Mishka though) would be to have a Burning Legion-focused expansion. However, what Blizzard’s problem is for me at the moment is that we’re too quick to kill “big bads” – every expansion we’ve been to we’ve killed the big bad, [spoilers]though Mists might be the exception to this rule as Garrosh is currently awaiting trial until 5.5[/spoilers]. There are overarching storylines continuing across multiple expansions involving the Burning Legion and the Old Gods, but that’s mainly because they are hugely powerful enemies that we have to chip away one by one. Fighting Sargeras this soon would be a bad move by Blizzard. It might bring people back, but it’ll have the Lich King effect where once he’s “dead”, people will believe that the Warcraft storyline will be largely over. And truly, what larger threat is there than the Destroyer of Worlds himself? Multiple Old Gods at once? The rest of the Pantheon that decide that Azeroth needs to be re-originated? We’ll be getting to Super Saiyan levels of power that will just end up being non-realistic. However, what could happen, considering the epicness that has evolved from Mists of Pandaria, is go to a relatively unknown destination and have an expansion based around that – let’s not forget that Blizz have something big in store for Alleria and Turalyon after they went missing in Outland… Why not activate one of Outland’s dimensional gateways (or, more likely, portals in SW/Org) and explore Xoroth? Like Pandaria, the only things we know of it is the name and one or two native races there, and has massive potential for a great storyline. It’ll be a stepping stone of an “unknown” boss that could be built up with a pre-expansion event, with hopefully plenty of opportunity to build him up over the course of the expansion in patches and whatnot, like Lei Shen was for Pandaria. Other planets we know of are: Xerrath which is completely destroyed, and apparently not worth going to according to the Warlock quest chain; K’aresh the Ethereal homeworld, maybe destroyed in the same fashion of Outland as Dimensius the All-Devouring opened up many portals were opened like on Outland – it could be a potential patch at least unless we were given more lore and reason to go there; Argus, homeworld of the Eredar and potentially a stronghold of the Burning Legion would be similar to Xoroth, but likely the place to have the showdown against Kil’jaeden. There’s still opportunities for exploration in Azeroth. Personally, I think we’ve had enough of our own world and need to go travelling in space again, but there’s still the avenue of the South Seas, especially with the Zandalari Trolls on the brink of extinction, we still haven’t seen King Rastakhan and the Prophet Zul. The Human kingdom of Kul Tiras has been missing for years, and many expected it to be in Cataclysm when Tol Barad was announced to be making a comeback. There’s also Tel Abim, Plunder Isle/Hiji, The Broken Isles with the Tomb of Sargeras (and Gul’dan’s final resting place). It would also be an excellent place to continue the Naga/Old God/Neptulon storyline with the inclusion of Nazjatar and its nearby places of interest. Although with the negative feedback of Vashj’ir we may not see too much of the underwater side of the expansion. Nevertheless, Queen Azshara needs to be dealt with sooner or later, and she’ll likely be a target before we take the fight to Sargeras. Although the Nightmare is no longer a threat thanks to the Stormrage novel, it’s still a fan favourite to check out the place, especially as parts of it have been created. Plus, if several years had gone by, because the green dragonflight are being bitchy by just saying that the mortal races can take care of things, we’ll likely see some kind of resurgence of N’Zoth and the Nightmare. It could be massive, as the Dream is the blueprint of Azeroth. Think Eastern Kingdoms, Kalimdor, Northrend, Pandaria, and more that was blasted beneath the sea 10,000 years ago. That’s how big the Dream is. The only problem with it is that most of it is going to be boring landscape as mortal hands haven’t touched it, so we’ll likely only focus where the Maelstrom is current day, at the Rift of Aln. The Rift is also speculated to be an entry into the Twisting Nether (demonland) or the Great Dark Beyond (space), so we might see that feed into another Legion expansion. I can’t really explain it better than this guy, who’s made it his personal project to make this look as awesome as possible. It involves going back to Northrend, but there really was a missed opportunity when Blizzard decided to pull the zone from the Lich King concept stage. It could also progress the Bolvar storyline and bring him back to the front along with Sylvanas too. How I would love an expansion where we get to go to Azeroth’s past and help out at different locations and times, for example War of the Ancients (yes it was in Cata, but it really wasn’t justified as Blizzard saying they’d look at it ), the War of the Three Hammers, the War of the Shifting Sands, the Troll Wars, the Pandaren Revolution, etc. The Bronze Dragonflight are out of action, and it would be a very off-topic expansion, but it’s just a dream of mine. The Infinites may have been stopped when Murozond died, but timey-wimey wibbly-wobbly means that in some strands of time, they may still exist and the Timewalkers have taken over the duty of the Bronze. Plus, with the ongoing questline on the Timless Isle from Kairoz, there certainly seems to be a new storyline creeping onto our doorsteps with regards to the Bronze Dragonflight. We could then use what we learn from the battles of the past to fight our tough battles of the future (mortals vs Titans). 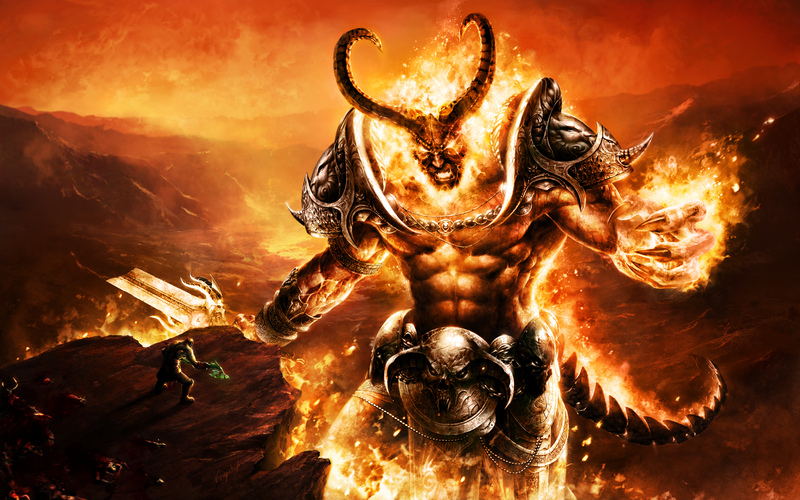 We know of at least 5 existing according to Warcraft III lore. So far we know of C’Thun, Yogg-Saron, N’Zoth and Y’Shaarj. There’s still one more out there, and we still need to take care of N’Zoth too. We’ll have an expansion based in Azeroth at some point (unless we team with Old God to defeat Sargeras) in order to firstly find out who this is. MoP > Xoroth > South Seas (with a patch of the Emerald Dream, merging the Rift near Nazjatar with the Rift of Aln) > Argus > Battle for Survival Against Sargeras. If the Spider Kingdom and Caverns of Time were included, they’ll likely be between Xoroth and South Seas and between Argus and Battle for Survival respectively. Good morning people! Hope you had an awesome weekend. WoW is an expansive universe, reaching out across not just Azeroth, but many other physical plains in the Great Dark Beyond, and especially in the non-physical Twisting Nether. 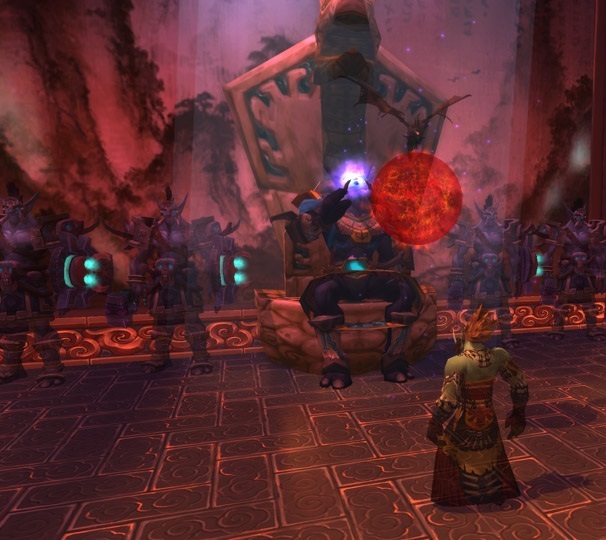 As we near to the end of Mists of Pandaria where we strike down another expansion’s final boss, it got me thinking as to what else could serve as the final point of an expansion. As we’ve seen with Garrosh, even characters created within the WoW section of the franchise can don this title, but it does require more than just one expansion to flesh someone out. With that said, who else do we know of in Warcraft that could be threats to our homes and our lives? What else stands out there, taunting us with purple (or otherwise) end-of-expansion weapons? It’s not a secret that I love Old God lore. Although their M.O. is usually the same: to instill chaos and disorder, it’s interesting to see how each of the Gods go about it. C’Thun was the god of chaos – the Qiraji of Silithus revered him as their god, and twice he attempted to take control of Azeroth post-Titans, failing. more recently, in the comics he empowered Cho’Gall to what we see him as in Bastion of Twilight, so even after heroes defeated him in patch 1.9, he was still able to empower, manipulate and sow chaos to the world. Yogg-Saron is dubbed as the old god of death, responsible for the Curse of Flesh and having the ability to manipulate and control even his own jailors, the Titanic Watchers of Northrend. Y’shaarj is the most recent Old God that we’ve come into knowledge of, who was slain by the Titans in their second re-ordering of Azeroth. With his death, he cursed the land and corrupted it with the Sha, who pop up and wreak havoc if you were to have any of their associate negative thoughts. Y’shaarj is the revered god of the Mantid, who hold no secret as to where their loyalities lay should the Old Gods return – even shown in Siege of Orgrimmar where the Klaxxi Paragons have allied with Garrosh, who has “resurrected” the heart of Y’shaarj using the mystical waters of the Vale of Eternal Blossoms. So he’s not a good nugget to be around really. And he’s still out there, rumoured to be at the bottom of the ocean somewhere – either below Vashj’ir or near the Rift of Aln/Nazjatar. Chances are as a result that we’ll see him soon, and if he has the ability to manipulate and empower forces such as those above, what kind of fight do you think he’ll end up being? I’m pretty sure perma-MC is going to come into play, as is what seems to happen with a lot of Old God fights. He’s also linked with sleep and empowering people too – perhaps something to do with the Emerald Dream or us getting big, fat buffs in the fight? Is he end-of-expansion content, or will he be, similar to C’Thun and Yogg-Saron, a boss we have to lock away for another day? Mentioned above, there is still other threats below the surface of Azeroth’s oceans. When the Sundering first occurred, a lot of land surface went underneath the Great, Frozen and South Seas. The naga have been a consistent threat throughout WoW’s life (I believe Pandaria is the first expansion where they don’t show up) and their war with the Kvaldir, the story for Neptulon and more importantly, the threat of their leader, Queen Azshara are still major points that need to be addressed. She is thought of as one of, if not the, most powerful mortal mages ever to live – more powerful than Jaina, the Guardians of Azeroth or even Rhonin(!). As I’ve mentioned above, she’s been working in the background for a little while now, having her story built up over multiple expansions… But we’ve never really taken the fight to her. Largely because the only time she’s ever really been a threat in the past 10,000 years is when Deathwing broke the world and the waters of the world did most of the work for her. 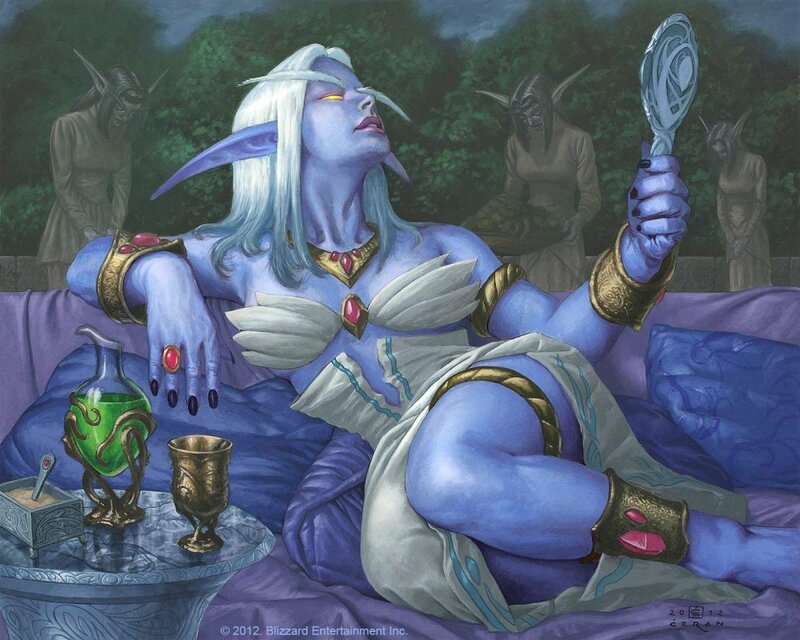 Even Lady Vashj seems to have threatened us more than Azshara has, and she was doing it on another planet, sucking up the waters of Zangarmarsh! While I would like to see Azshara come to the limelight, as she most definitely is end-of-expansion quality as raid bosses go, I have a feeling she will be another enemy that will suddenly rise up out of nowhere, and we kill her in the same expansion. Sure, she’s got the whole Neptulon and Vashj’ir storyline to continue from Cataclysm, but this was more background-villain than what I was complaining about last week with having the main villain last multiple expansions. Cataclysm was the story of Deathwing and the elemental planes, with Vashj’ir giving the Abyssal Maw some background before we were due to go raiding in there (before the idea got scrapped) – Azshara gives a good hook for that, and if we had the Abyssal Maw and saw more of her in Cataclysm, I would have been content. Speaking of non-mortal planes such as the elemental planes, there is also the case of the demonic plane in the Great Dark Beyond (or outer space) called the Twisting Nether. Here is a absolutely massive wealth of content that is simply yet to be tapped into. Draenor was obliterated by Ner’zhul’s portal creations to other worlds, and leaked into the Twisting Nether and wholly exists inside of it now, but other than that, there isn’t really THAT much information known about it. Demons are created there, with magics of arcane, fel and certain types of shadow spells originate from the Nether, but most importantly, the Burning Legion is the most likely faction you will find out there. The closest that any end-boss has come to being one that fulfills my hope that Blizzard creates an enemy that lasts more than a year against us, is Kil’jaeden. In Sunwell, he was partially summoned into the world by Kael’thas and his followers from Outland, and we pushed him back into the Well and banished him from Azeroth… Temporarily. There’s also the case of Mal’ganis that we have to deal with – wasn’t he meant to kill the Lich King for us? Sargeras, Kil’jaeden, Mal’ganis, Mephistroth are all major names we already know of, and I’m sure there are more leaders in charge of for example the Annihilan (Pit Lords) now that Mannoroth is dead – I’m sure that there is a new Burning Legion General out there somewhere at least. Plus, there’s many other species of demons that will have leaders in their own rights that we can slaughter – The Burning Legion can be multiple expansions where we start off by fighting against them on Azeroth, then moving onto realms such as Xoroth, Xerrath, and if they have survived and operate as Legion HQ: Fanlin’Deskor and K’aresh. And of course there’s Kil’jaeden, Archimonde and Velen’s homeworld, Argus that is there to be explored. That’s up to five planets to be explored for just the Burning Legion alone – look at how long it’s taken us to explore Azeroth’s dangers! We’ve already put some war back into WARcraft in this expansion, and we can see that Blizzard aren’t averse to killing off important faction leaders by giving us a stick and allowing us to poke Garrosh with it. However, there are other morally grey faction leaders still in important roles within their factions. The obvious one I’m talking about is Sylvanas Windrunner, who’s been running around taking control of the northern end of the Eastern Kingdoms, becoming more and more like a Lich Queen in the process. For those that haven’t seen the Garrosh kill cinematic, just take a look at the image above. This is the face she pulls when Varian does what she wants. 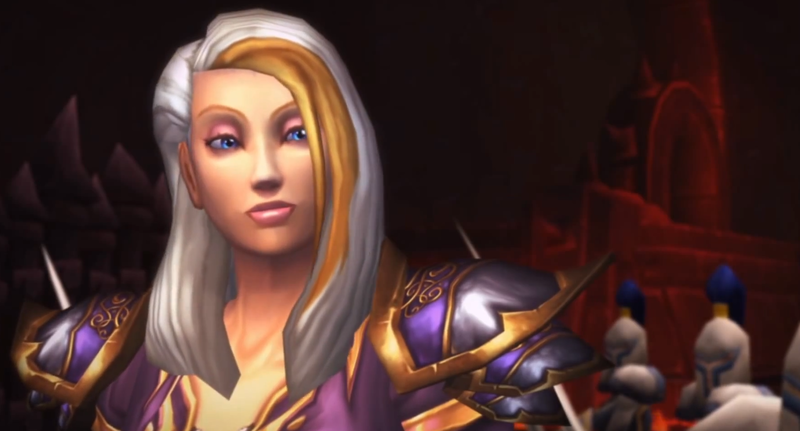 Now I know this is Blizz-level ingame cinematics, but that face is such a manipulative, scheming face that will just snap one day and we end up going into patch x.4: Siege of Dalaran. Either she’s going to be a main supporter of the Alliance-Horde war effort (alongside people like Vereesa and Sky Admiral Rogers… What is it with Alliance women lately and their sincere hatred of the Horde?) or she will go too far and we have to deal with her. Now with all these big bads mentioned, there does need to also be some intermediary bosses within the expansions – either as pawns to the final mastermind, or if they have Old God syndrome and seem to pop up in the middle of expansions when they could perfectly be end-expansion bosses… In that they just don’t have enough back-story to them to warrant being on the box art. But they do need to happen, otherwise there is going to be an underlying problem of there simply being too many levels in the game. A new WoW player at the moment has to buy five games in order to reach that level cap, but even then they may look at the 90 levels and wonder if they really want to go through all of that just to fight the guy that their friends are talking about. 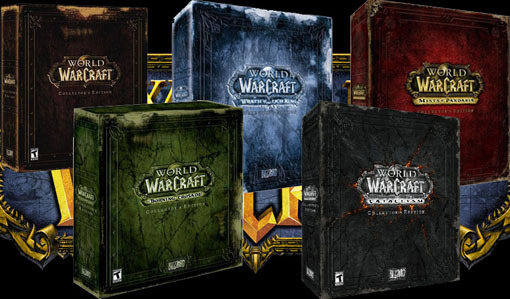 A solution to the first problem of the amount of games to buy, is to consolidate them into battle chests again like what Blizzard had done with vanilla/TBC, or have certain multi-buy discounts where if you buy MoP, you get the rest for free or at a heavy discount. For the sheer amount of levels, I’m not sure what they could do. There’s several options such as a level squish, similar to our item squish that’s occurring soon: Azeroth could go up to level 40; Outland 45; Northrend 50; Cata 55 and MoP 60. It would feel weird to veterans of the game to suddenly be killing Vrykul at level 50 instead of 70+, but to bring new players in as we’re closing in on triple figure levels, it might help rejuvenate WoW slightly. Another way to combat the level problem is to simply not have any levels next expansion: with the item squish we could “unlock” questing zones through quests, and just increase our iLvls going into future expansions. I’d personally not prefer that method myself, as artificial gates won’t suit a lot of people, especially if it’s through quests (thinking about alts and doing the lines more than once – some people don’t even do them the first time!). My final suggestion would be to implement something in between, of having something similar to Paragon levels, or to keep in lore with WoW (and this post) Titan levels – having a level cap at a nice, round 100, then having something happen to us as players, and we continue levelling through these Titan levels. Who do you guys think the end of WoW will be? Will Blizzard just try to hold off the classical big bad, Sargeras, potentially bringing him back Kael’thas style for multiple expansions? How many expansions do you think WoW could withstand before thinking about WoW 2, or even just ending the story and finishing up with us slaughtering each other? What would you do for new players to make sure that the big level wall has at least some steps along the way? I’ll see you on Wednesday, have a good start to the week!